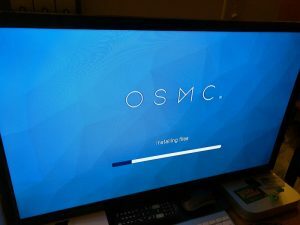 At this point, most people stop with an awesome Kodi enabled Apple TV but I wanted much more from this Debian 8.6 Linux computer! 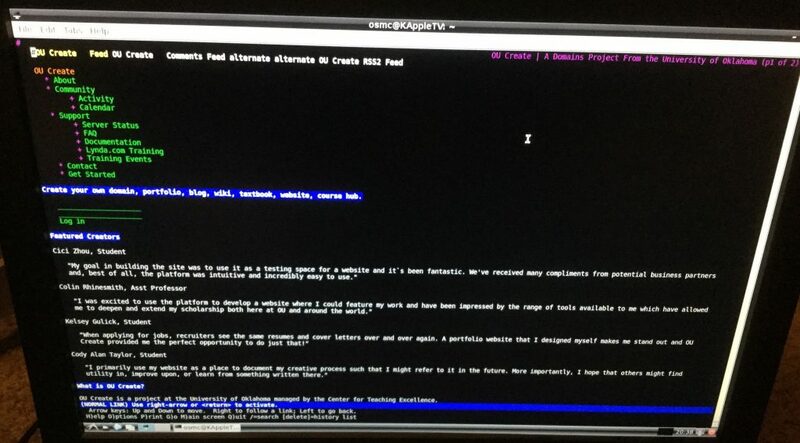 In accordance with the recommendations from the aforementioned video guide, I installed LXDE as the desktop interface. 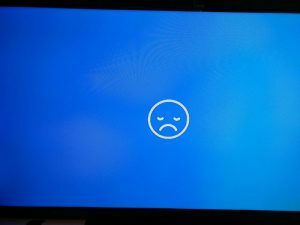 It was at this point that I started dreaming of all the things I could do with my new linux computer! First, I installed a web browser. Learning to use the “apt-get” command from forums, I installed Firefox ESR and explored my first text-based web browser, Lynx. It was a spectacular experience to see what the web looks like when images, videos, and advertisements are stripped away and words are all that remain. Next, I built a Twine game from my Apple TV and used the notes from eXperience Play to add some style to my simple game. Once it was built I decided to upload and host the HTML game on my OU Create domain. 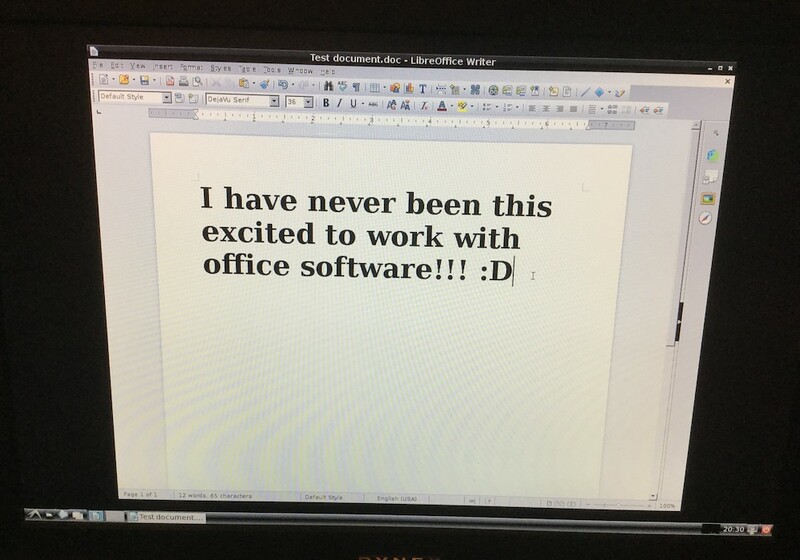 But after some tinkering and patience, I was able to install LibreOffice onto the Apple TV. With this software, I composed my first document from the Apple TV. There was a phenomenal guide on setting up a LAMP environment in Debian that I followed to transform my Apple TV into a server. However, I had trouble getting MariaDB MySQL to install properly. Since I wasn’t determined to install any web apps that used MySQL, I didn’t sweat this problem and turned my attention towards the more crucial Apache2 and PHP5 and started getting more ambitious. 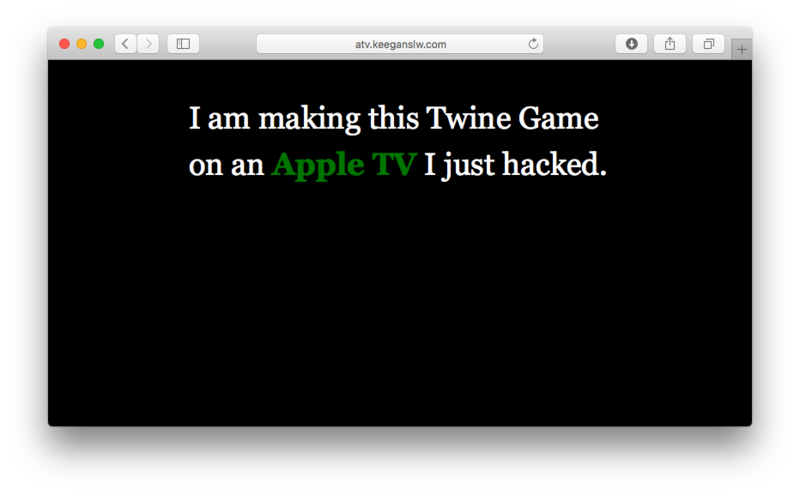 First, I discovered I could host the Apple TV-made Twine game on the Apple TV itself by placing the HTML file in the web root directory that Apache had generated (in my case /var/www/html). THIS WORKED PERFECTLY. In other words, files located in the computer folder “html” (that is located in the folder “www” that is located in the folder “var”) on the Apple TV were now accessible to other computers on my home network. 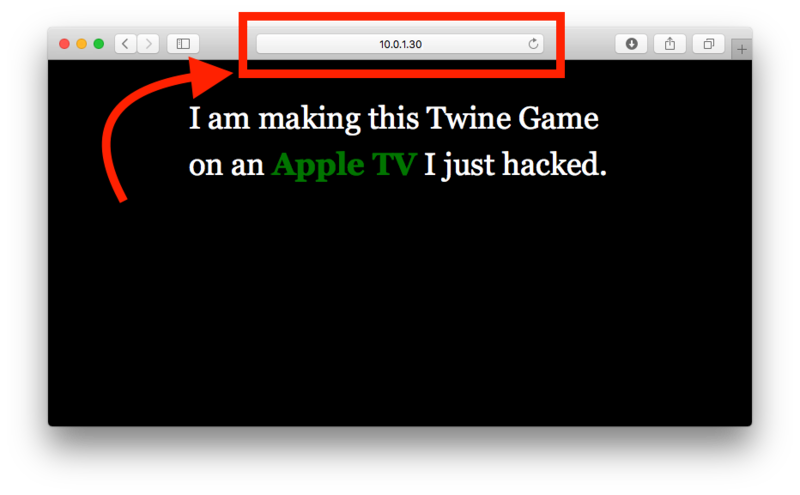 This meant I was able to navigate to the IP address of my Apple TV using my iPad to access the Twine game. In fact, any device on my home network can navigate to http://10.0.1.30/twine.html and access the html file that was being hosted by my new LAP (Linux, Apache, PHP) server. Yet this game was only simple HTML and I wanted to take the Apple TV even further. I want to finish getting Grav running on my new web server, but I’ll need to do a bit more research before another Apple TV journey. Also, I’m exploring a firewall exception and mapping port 80 in my router to grant users access to my Apple TV web server outside of my home. Finally, I’m considering installing node.js and trying to get a copy of Ghost running. This may be feasible as opposed to running something like Sandstorm.io or Gitlab, with the measly 256MB of RAM on an Apple TV. If you played the Twine game I keep referencing, you’ve already witnessed me questioning my intentions. Why the heck did I spend all day turning a media player into a computer and then into a server? I may sarcastically reply with “why not?” but the real reason is for the fun of learning. Today, I taught myself loads of awesome stuff! From heavy usage of the Debian command line to Apache2 as a web server to how the web works at a file and IP address level—these days of experimentation, building, and re-building help me understand technology and its role in our lives. For me this was more than an exercise in learning, this was an opportunity to discover how and why I’d bring the web into my own classroom. The featured image is provided CC0 by Ilya Pavlov via Unsplash. Snow Day! - Canvas Camp?